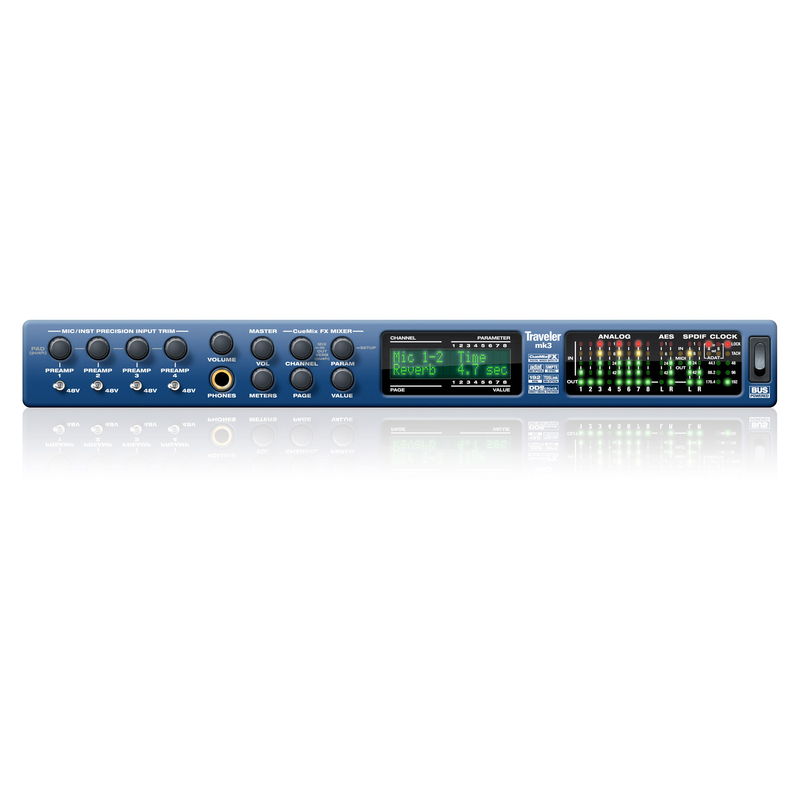 Firewire och USB2-ljudkort med DSP-mixer och -effekter inbyggt. Hybrid FireWire/USB2 connectivity connect to your computer via either plug-and-play FireWire or hi-speed USB2. CueMix FX flexible 28 input/16 bus mixer with on-board DSP effects, including reverb with sends/returns, plus EQ and compression on every input and output. 28 inputs / 30 outputs (at 44.1/48 kHz) there's no channel sharing in the 828mk3; the mic inputs, S/PDIF I/O, headphone out and main outs are all handled as separate channels. Front-panel control access any setting in your entire 828mk3 mix directly from the front panel. 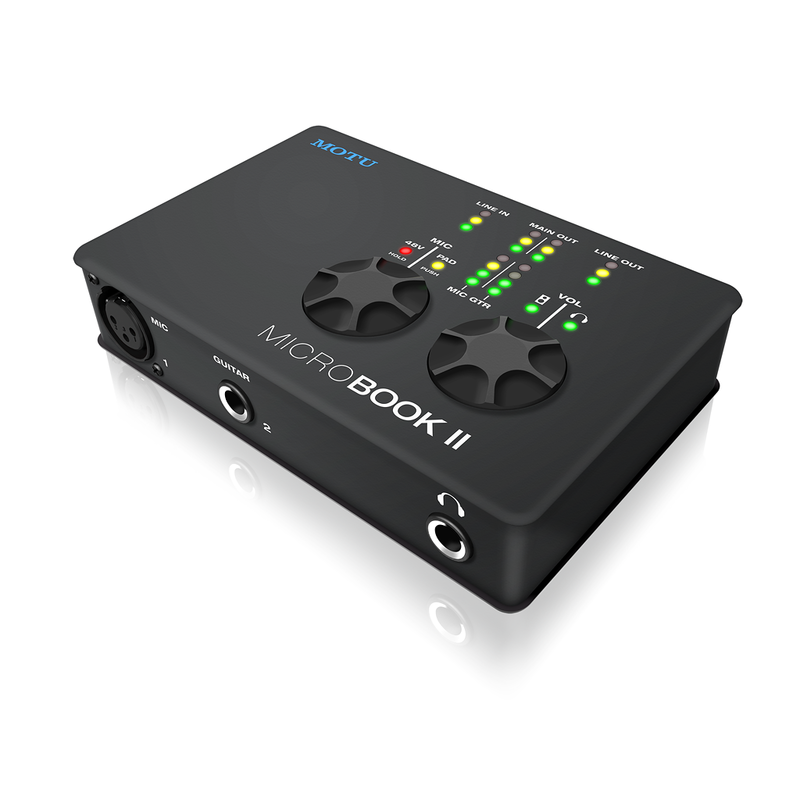 Stand-alone operation program your mixes at the studio and then bring the 828mk3 to your gig - no computer needed. Need to tweak the mix? Do it on site using the back-lit LCD and front-panel controls. Multiple CueMix FX mixes for example, create different monitor mixes for the main outs and headphones. Or add send/return loops for outboard gear - with no latency. Two front panel combo jacks provide hi-Z 1/4 guitar input or low-Z XLR mic input with phantom power, pad and plenty of gain. Mic/guitar instrument sends add your favorite outboard EQ, preamp, reverb or other processor to the two mic/guitar inputs, before the signal goes digital. Clip protection Mic/guitar input limiter prevents digital clipping and distortion from overloaded signal levels up to +12 dB over zero. Precision Digital Trim Digitally controlled analog trim on all analog inputs (mic/guitar inputs + quarter-inch TRS inputs) provides accurate adjustements in 1 dB increments. Fine-tune the balance of your analog inputs and then save/recall trim configurations. Flexible optical I/O 16 channels of ADAT lightpipe, 8 channels of SMUX (96 kHz) or two pairs of stereo TOSLink. Mix and match formats between the two banks. 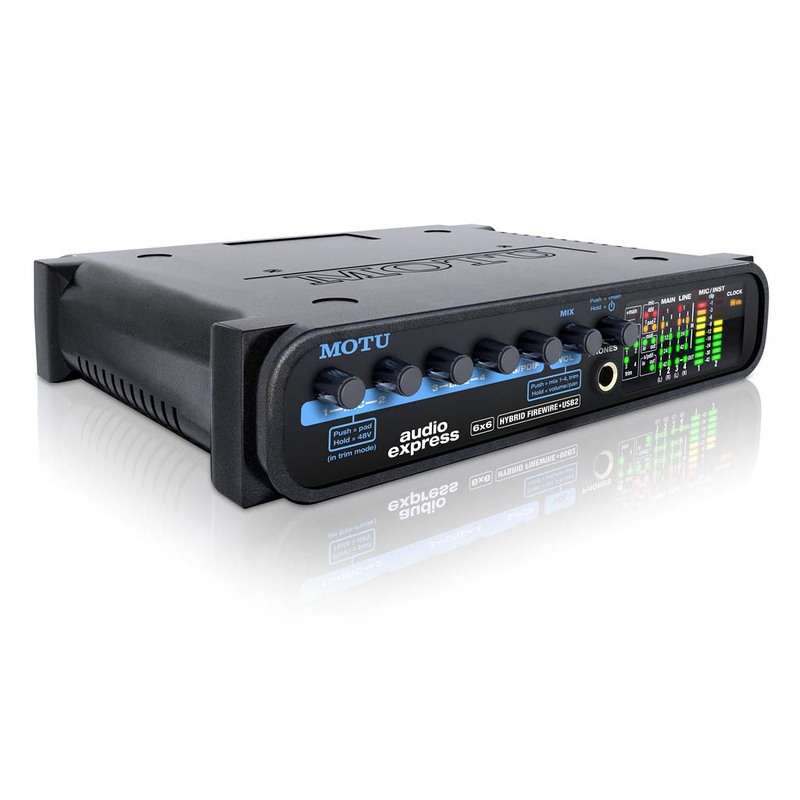 DC-coupled TRS outputs can be used with Volta (sold separately) to manipulate and sequence voltage-controlled modular synthesizers from a host DAW. Includes 32- and 64-bit native drivers for Mac OS X and Windows 7/Vista/XP, including ASIO, WDM, Wave, Core Audio, and Core MIDI. 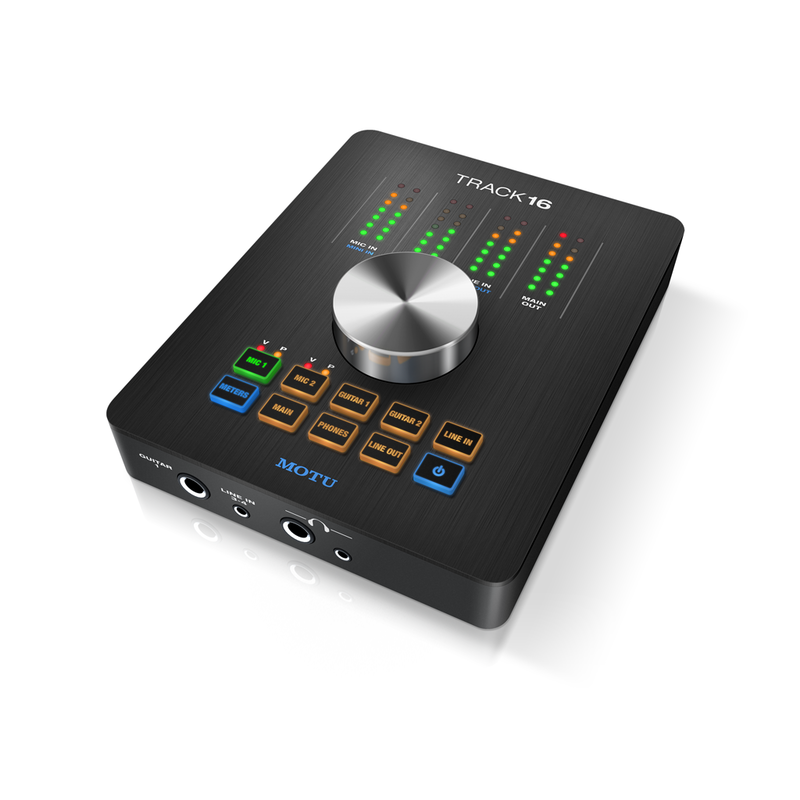 Supports all popular Mac and Windows audio software. Front panel meters or activity LEDs for all analog, digital and MIDI I/O, plus SMPTE sync tach and lock LEDs. Chassis dimensions, excluding rack ears and front and back panel knobs and connectors: 19 × 7 × 1.75 inches (48.26 × 17.78 × 4.45 cm). Knobs and connectors extend up to 0.5 inch (1.27 cm) from front and back panels, adding 1 inch (2.54 cm) to depth. 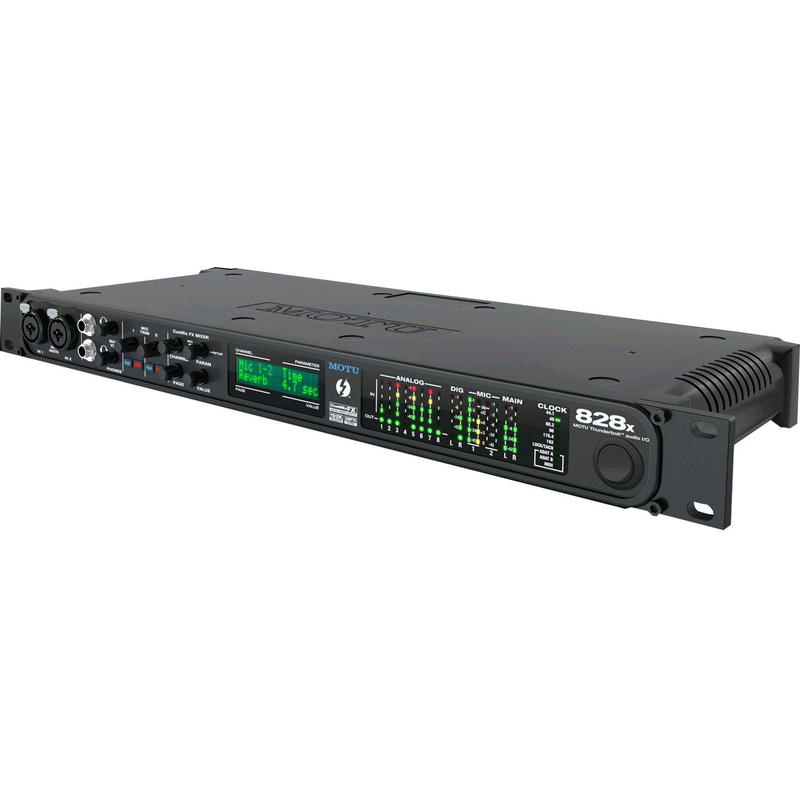 With rack ears attached, fits standard 19 inch (48.26 cm) rack at 1U high.